nerds of a feather, flock together: SIDE QUESTS: The Theremin! SIDE QUESTS is an occasional essay series where we explore some of the other stuff we geek out about. A nerd cannot live on but sci-fi and fantasy alone...though it's certainly fun to try. Today, we're talking about the theremin — an electronic instrument invented in the 1920s, that became the sound of science fiction in the 1950s, and which a performer plays without actually touching. It is way hard to play (believe me, I try), and when successfully done, it appears to be accomplished by magic. 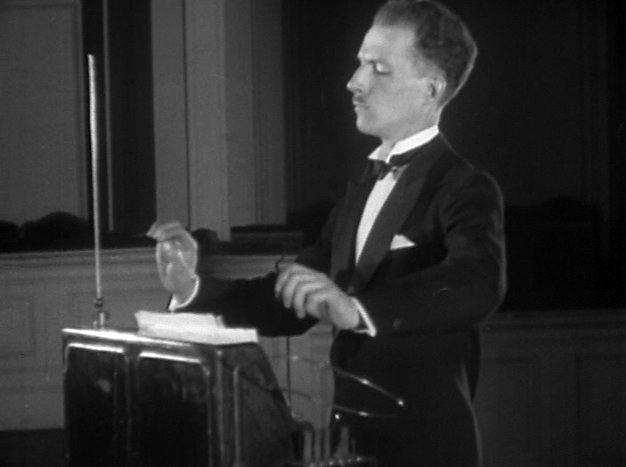 The theremin is a wonderful, inexplicable oddity, and if someone ever described me in similar terms, I could die happy. This may be part of my attraction to the instrument. You've heard a theremin, or at least something that is intended to fool you into thinking it's a theremin (but is likely some kind of synth that is actually comprehensible to mortals without perfect pitch). Basically, the theremin is a box with an antenna sticking up out of one side, and a second, looped antenna sticking out of the opposite side. The one sticking up controls the pitch, the loop controls the volume, and you literally wave your hands in the air to make it work. Leon Theremin patented the instrument in 1928, and in 1950, Bernard Herrmann used it to score the film The Day the Earth Stood Still. It had been used in other prominent films before then, including Hitchcock's Spellbound, but after The Day the Earth Stood Still, the instrument and its ethereal sound seemed to become a hallmark of the sci-fi genre. Forbidden Planet, for instance, doesn't use a theremin in the score, but it sure sounds like one. The sound became so iconic and so identified with genre movies that in 1994, it was the focal point of Howard Shore's score for Ed Wood, which is one of my all-time favorite movies. The performer on that score was Lydia Kavina, who learned the instrument from Theremin himself. How cool is that?? I've been fascinated with the theremin since I saw one played in a music store while I was in college. It's only been in the last couple of years that I considered trying to obtain one, and I finally did so at the end of 2017. How to learn to play this crazy thing except via YouTube? And what better for plunging down fathomless rabbit holes than...well, YouTube? My "teacher" has been Carolina Eyck, who, as it happens, learned the instrument from Lydia Kavina, who learned it from Leon Theremin. I mean, I'm to the point where I can play "Somewhere Over The Rainbow" right about half the time. Maybe almost half. These women can play Rachmaninoff. It is mesmerizing to watch. So I watched a lot of theremin videos. But then I discovered that "playing Ennio Morricone on theremin" is a thing. Spaghetti Western music played on a magic sci-fi box? Friends, I was lost. My nerd heart was enraptured. Enjoy! Posted by Vance K — cult film reviewer and co-editor of nerds of a feather, flock together since 2012, multi-instrumentalist, Emmy-winning producer, and all-around rabbit hole dweller.